Firefly’s Cygnus Hybrid Power Generator was awarded ‘Highly Commended’ within the ‘Most Sustainable Rental Product of the Year’ category at the European Rental Awards. The awards, hosted by Nadine Dereza and organised by European Rental Association (ERA) and International Rental News, were held at the Melia Roma Aurelia Antica hotel in Rome, Italy. More than 265 delegates were gathered at the hotel for the ERA’s annual convention. The ERA judges said the winners reflected “a European rental market that continues to reveal companies and individuals who are innovative and hard working. This year, we recognised the push towards sustainability in new product design, and we were delighted by the quality of the products that were submitted”. 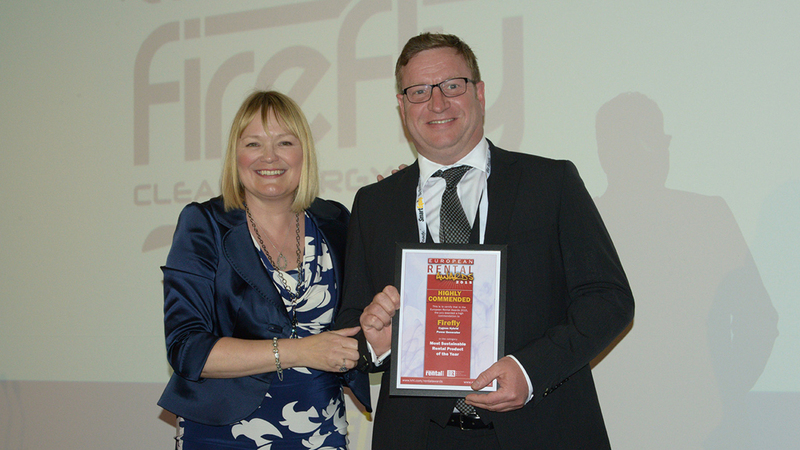 The judges also said that Firefly deserved recognition from the rental industry for the way that it has been at the forefront of the development of hybrid generators, with its Cygnus models helping to pioneer the technology in the events sector before championing it also in the general equipment rental sector.